Hi there, I’m reaching out in search of some help regarding “recovering data from a dead iPhone”. Actually, it was the previous night when I was using my iPhone while it was on charge and accidently drop it. Since then, it isn’t turning on and no sign of liveliness detected yet. I’m worried about my private data and some invoices stored in it. Please help! Hello user! 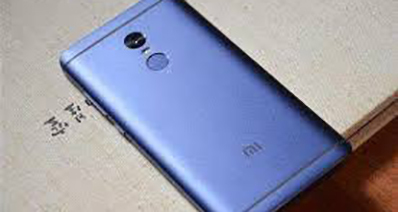 We’re grateful that you reached us out with your issue and are more than happy to offer you some really helpful solutions via which you can easily recover data from your dead iPhone. Yes, it is indeed possible. We not only have introduced the solutions for you but also have mentioned their respective step by step guides for your convenience. Let’s explore! Considering your situation, we bring you a recommended and a very powerful solution that helps you to recover data from various data loss scenarios, be it accidental deletion or water damage or dead iPhone or broken iPhone etc. 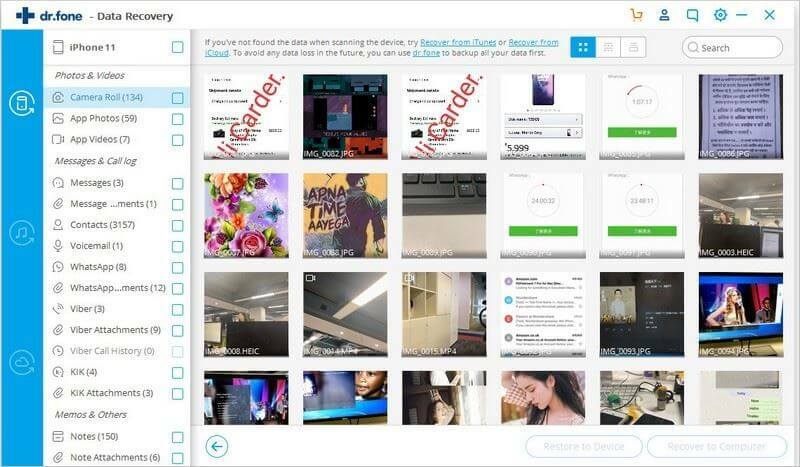 Introducing the iSkysoft Toolbox – iOS Data Recovery, a renowned tool that can help you to effortlessly recover data from dead iPhone using its 3 powerful data recovery modes. Moreover, this tool works smoothly on both Mac and Windows computers. Here are some of its salient features. 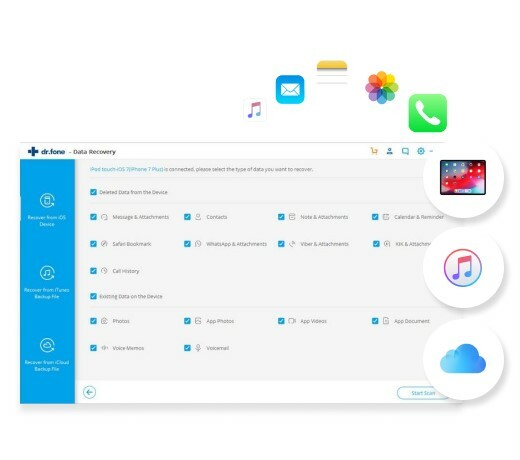 With the 3 powerful data recovery modes, iSkysoft Toolbox – iOS Data Recovery not only allows you to recover data from iPhone but also recovers data from iTunes or iCloud backup files as well. The tool is fully compatible with the latest version of iOS firmware, i.e. iOS 12. 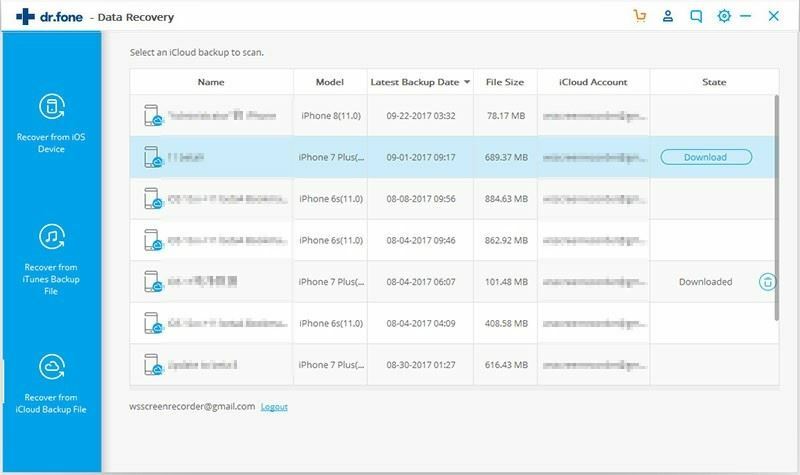 It actively helps you to recover more than 20 different data types from iOS device or iTunes/iCloud backup. 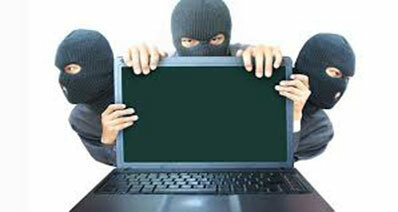 This tool also enables you to preview the detected data prior to recovery. The tool offers full compatibility for almost all iOS devices. Step 1: Install and launch iSkysoft Toolbox on your computer. 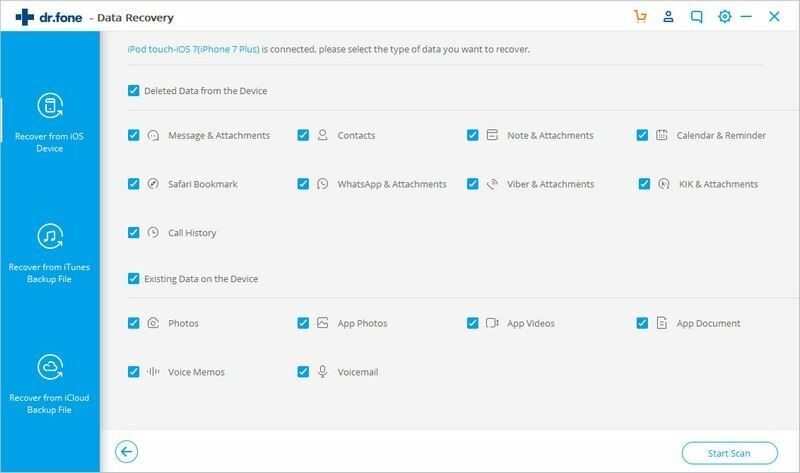 Hit the ‘Data Recovery’ tab and connect your iOS device with your PC. Step 2: From left menu panel, tap on ‘Recover from iOS Device’ tab. Ensure to select everything that you wish to recover from the available list of data types and then hit ‘Start Scan’ button. Step 3: The next screen will bring up the results for your preview. Once done with previewing your data, select the ones that you wish to recover and hit on ‘Recover to Computer’ or 'Restore to Device' button. That’s it! Step 1: Launch the software and select ‘Data Recovery’ from the main interface. 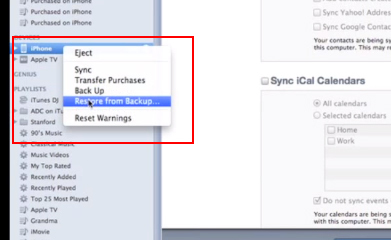 On the upcoming screen, select the ‘Recover from iTunes backup file’ option from left menu panel. Now, select the preferred iTunes backup file from the list and hit on ‘Start Scan’ button. Step 2: The results of the scan will be brought up on your screen for your preview. Mark the desired ones and hit on ‘Recover to Computer’ button to get them recovered. 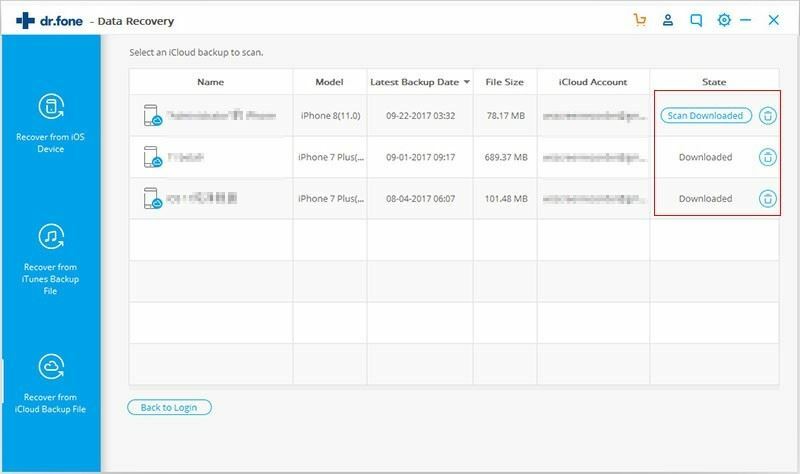 Step 1: Initiate iSkysoft Toolbox and hit the ‘Data Recovery’ tab, then select the ‘Recover from iCloud backup file’ mode from left menu panel. From the upcoming screen, login to your iCloud account. Step 2: Hit on ‘Download’ button next to the preferred backup file from the list. You then need to select the data types that you wish to recover and hit ‘Next’ subsequently to initiate scanning of backup file. 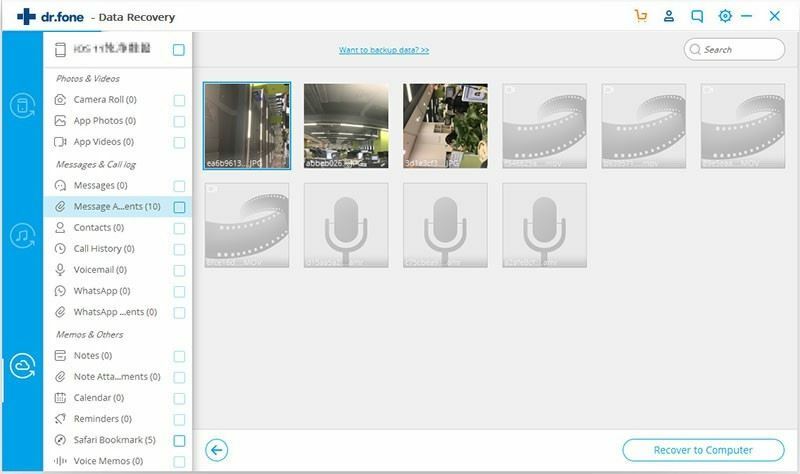 Step 3: Lastly, preview the scanned data stacked up on the results page and select the ones that you desire to recover, then hit on ‘Recover to Computer’. Please note that directly restore backup files from iTunes or iCloud backup without using iSkysoft Toolbox will overwrite the current data on your dead iPhone. And you have no chance to preview the data untill they are restored on your iPhone successfully. If you perform backups often, which is surely recommended, you can surely restore from a previous iTunes backup from an older iOS device. In order to do this you need to open iTunes and connect your iOS device to the computer that holds the backup. You should make sure that you have the latest version of iTunes. Once this step is complete, all that remains to be done is enter the File menu/Devices/Restore from Back up. 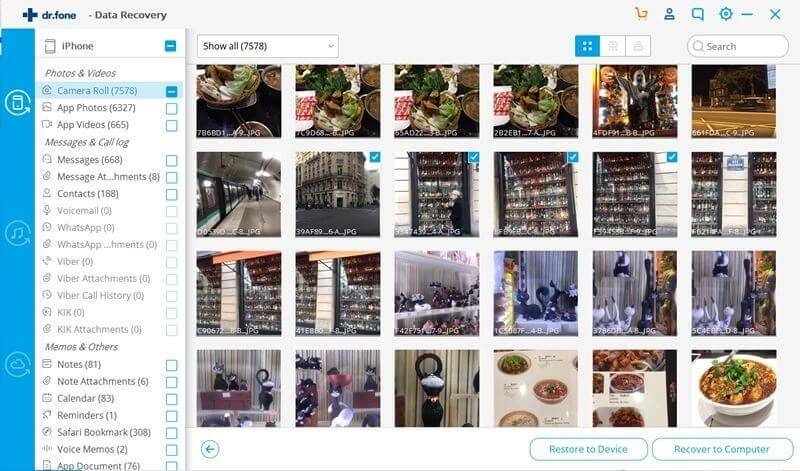 Wait until the process is complete and you will be able to enjoy the old data from your previous backup on any iOS enabled device without a problem. Cloud brings a wonderful technology that allows you to access all data from a single place, which is surely unique. All you need to do is use your Apple account and backup to iCloud your precious information from time to time, and that's basically it. Erase your device: First, go to Settings/General/Reset, then you should tap "Erase all Content and Settings". 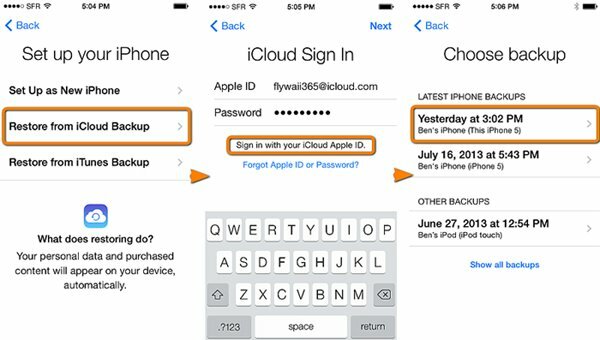 Restore from iCloud backup: After this is completed, you need to go ahead and choose to set up the device and proceed to choose "Restore from iCloud Backup". 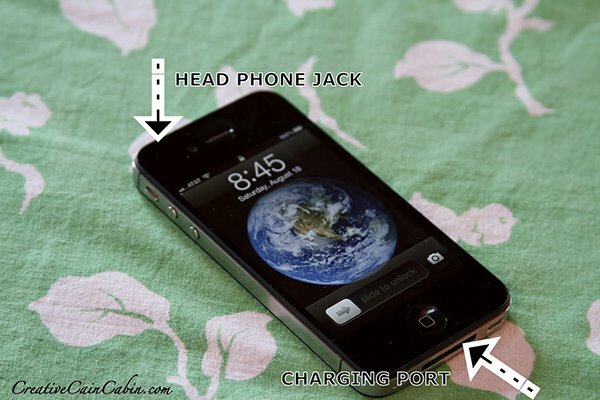 If your iPhone suddenly stops working, then you shouldn't panic. There are lots of things you need to try before calling it officially dead, as a simple recharge might even do the trick for sure, just be patient and try everything in this list. -Recharge. Yes, this might be the first thing you tried to do, but there are lots of people that think their phone is dead when it only lacks the energy to open. Try and recharge your device and if it's still not working, proceed to the next step. - Reboot. In order to reboot an iPhone you need to press and hold the Sleep button until a red slider will appear. Slide it then repeat the process in order to turn the phone back on. If the phone is frozen do the same operation just wait for 10 seconds as this will surely solve the problem. -Reset. If your phone has a glitch or bug, you can reset it by tapping Settings/General/Reset all Settings. This basically means that the phone will be restored to the factory defaults, which in most cases will solve the problem right away. - Go to https://www.icloud.com/#find or use the mobile app to find your phone. 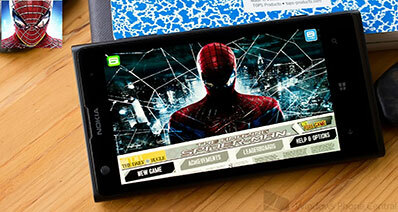 -From this app you can place the device in lost mode and add a password to it. 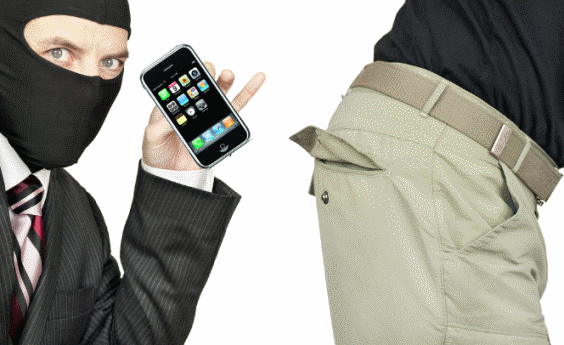 - Erase the information you need remotely using the Find My iPhone app. -Report your stolen device to the law enforcement unit and share with them any information that you have regarding your phone. If the Find My iPhone app was not installed though, recovering it is a lot trickier. 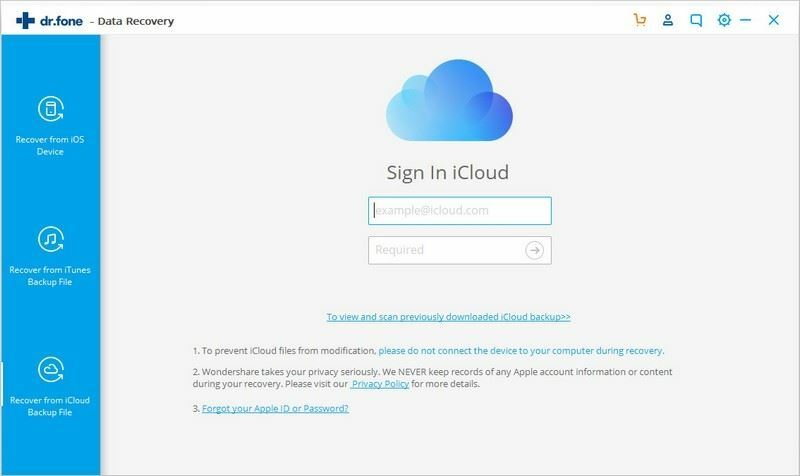 You will have to change the iCloud password in order to make sure that all data is safe, and all you can do after that is to report the stolen device to the local authorities. 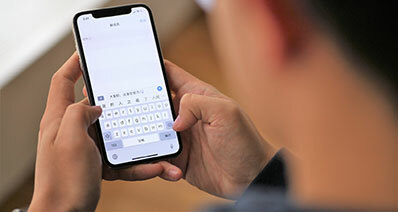 In conclusion, having your iPhone stolen can really turn into quite a hassle, but fortunately if you prepare your phone for such a situation you will have a great chance to recover it safe and sound. Backup your data often and use the iSkysoft Toolbox - iOS Data Recovery and that will help you a lot in this situation.